Click here to be directed to the Auditor’s site to search for your specific tax bill. There are several options as to how you can pay your taxes. 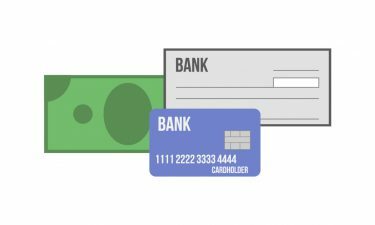 Mail, in person, or through the Official Payments website. Thanks for visiting our website and for your interest in the Clermont County Treasurer’s Office. We hope you find this site informative and useful. 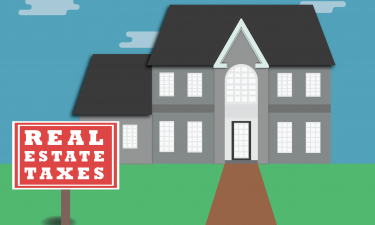 You can no longer pay your real estate taxes at the local banks. Please mail your payment in the envelope provided with your bill before the due date or pay your taxes at the Treasurer’s office, online through Treasurer’s website or through your bank’s online services. Real Estate Taxes are now certified for Tax Year 2018 and are available for viewing by clicking the Real Estate Search link. The First Half Real Estate Tax Bills were mailed on January 18, 2019. The First Half Real Estate Due Date is February 13, 2019. Payments received after that date will be assessed a statutory late payment penalty of 5% for the first 10 days after the due date. The full 10% penalty will be assessed thereafter. Manufactured Home Taxes are now certified and available for viewing by clicking on the Real Estate Search link. The First Half Manufactured Home Tax Bills will be mailed February 1, 2019. The First Half Manufactured Home Tax Bills will be due March 1, 2019. 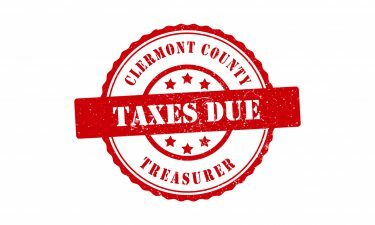 © 2019, The Treasurer's Office of Clermont County, Ohio. All Rights Reserved.